If you're like me, the second you step out of the shower, your skin practically shrivels back up into its dry, scaly form—no matter the body butter, lotion, or cream. Recently, though, brands have taken action against dry skin and launched a different type of product. Hybrids of serums, oils, and salves, these body balms are everything my skin needs (plus more, including feel-good aromatic scents) year-round. I have my favorites, but I reached out to my cohorts at Byrdie to hear about theirs as well. Keep reading for why we're practically salivating over these skincare products. "This pick is so luxurious. It glides on as a balm and melts into an oil upon contact, delivering shea Nilotica, and coconut, monoi, and argan oils to your skin. I use it on my driest patches—elbows, legs, and just about everywhere else. Plus, the citrus notes of bergamot and grapefruit help wake me up and feel fresh each morning. My only complaint is that I haven't somehow invented an endless supply." 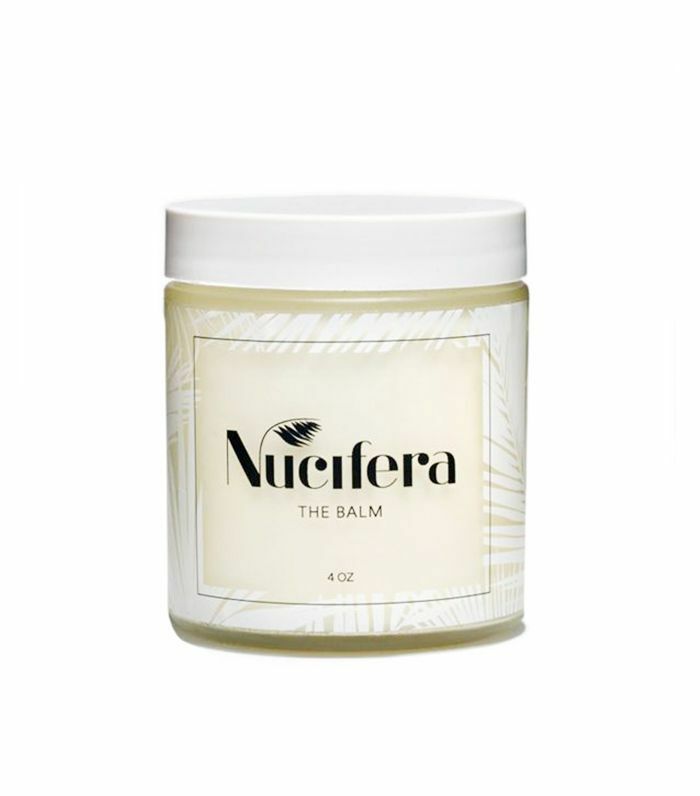 "Another soothing blend, Nucifera's balm was recommended by news editor Victoria. (I know—I get all my best products from her.) It evens and illuminates, reduces inflammation, boosts collagen, and has natural antibacterial and SPF properties. 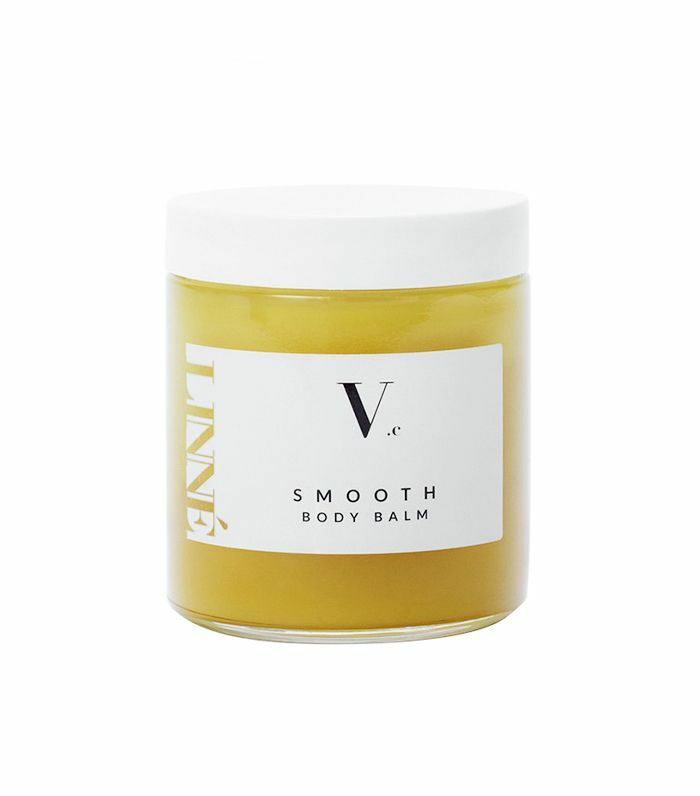 I slather it on (it's made of coconut and avocado oil, mango butter, and a blend of lavender, peppermint, and palo santo) all over my arms, legs, chest, and stomach, and instantly feel calm, collected, and moisturized for days." "So this is just a raw coconut oil, but it's the highest-quality coconut oil I've ever used. It comes from India and uses a special technology during the extraction process to make sure all the nutrient benefits and enzymes stay intact. 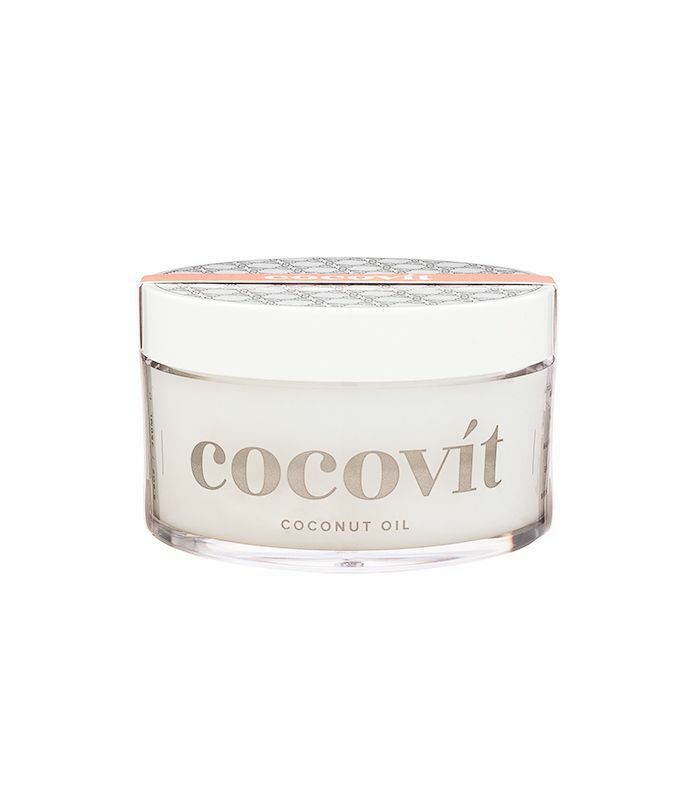 The result is an incredibly luxe product that all coconut oil gurus simply must try. (You'll notice a difference.) Plus, the packaging—so chic!" "I'm obsessed with Linné, a relatively new beauty discovery. A line of gorgeously packaged, botanical-filled products, the body balm has an addictively bouncy texture and is made with nourishing meadowfoam seed oil and smells like bergamot and Cyprus. Rub it all over your body post-shower, and revel in your baby-soft skin." "This precious little pot flecked with 24-karat gold isn't exactly a body balm—it's supposed to be used for hydrating tired under-eyes—but I also use it on my dry cuticles and elbows. The matcha-, pearl-, and coffee-infused balm melts into a buttery oil and smells so good." "When it came to my face, I was pedantic about my skincare. Going to bed with—eek—an unmoisturized face was like nails on a chalkboard to me. So I made sure to thoughtfully carry out my routine every single night, no matter the circumstances. But I was a bit of a walking hypocrite because I didn't care for my body nearly as much as my face and neck. I used in-shower moisturizer, but that was pretty much the extent of it. That is, however, until I was introduced to Frank Body Body Balm. 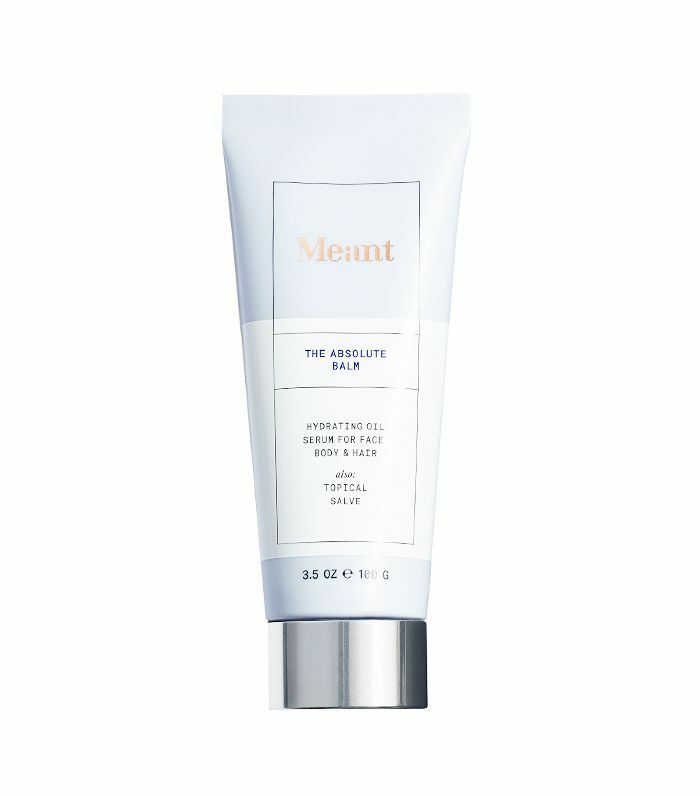 It smells like a latte and makes me glow like Gisele Bündchen, so putting it on doesn't feel like nearly as much of a chore as using other moisturizers. Because it's a bit slick, I usually put it on at night and let it settle before slipping into my sheets. But the smooth skin I'm left with the next morning makes the wait time worth it." Next up: The nine best-smelling body creams.